You can never have too many scarves! That’s why I offer you to choose one more for your collection — it’s a fringe scarf. This type of scarves will make your outfits cozier and more comfy, so choose a perfect one and try to mix it with various pieces of clothes. 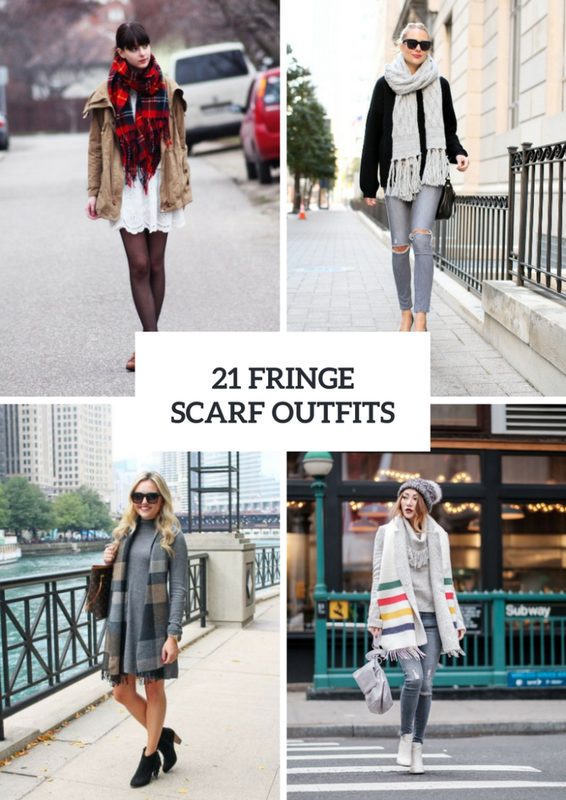 You can pick up knitted fringe scarves for cold days or cotton or suede ones, printed or oversized neutral colored ones, etc. Now let’s scroll down to see all ideas that we’ve gathered just for you. 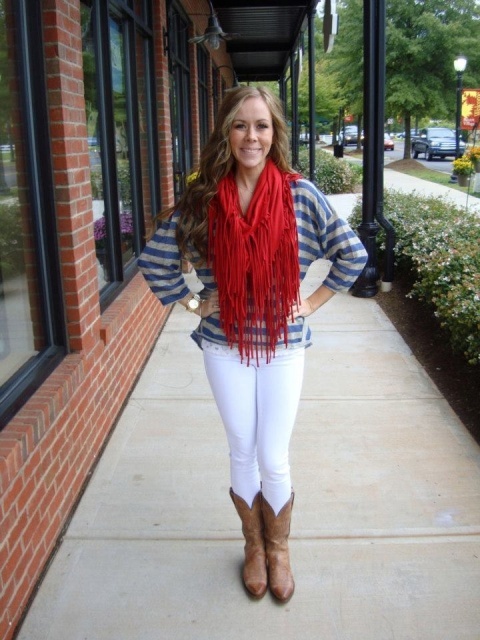 You’ll get absolutely chic casual outfits if you add fringe scarves to them. For example, you can combine a black oversized sweater with a gray fringe scarf, gray distressed skinny jeans, black pumps and a black leather bag. Or you can mix a gray turtleneck with a striped scarf, jeans, white ankle boots, a beanie and a gray backpack. Don’t be afraid to mix several fringe items together, for example, you can pair a gray sweater with a black leather jacket, skinny pants, black fringe mid calf boots, a gray fringe scarf and a two color leather bag. 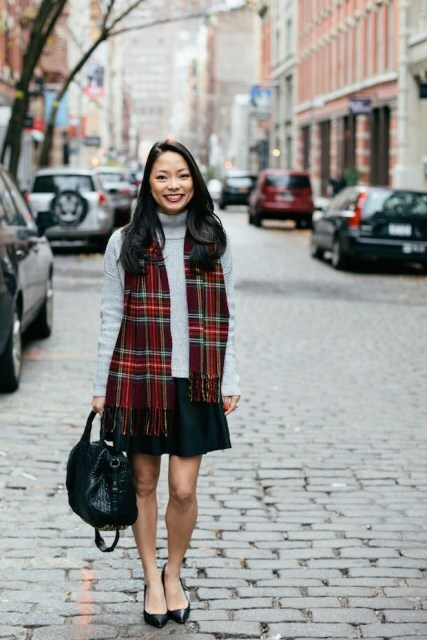 If you want to create a cozy outfit, then take a sweater dress with a plaid fringe scarf, black ankle boots and a printed leather tote. Or you can change a sweater dress to a cotton mini one and ankle boots to suede over the knee ones, and you’ll get a feminine stylish look for a weekend. If you have a printed dress such as a girlish polka dot or floral one, then you should pair it with a colored cardigan (for example, a yellow one), black tights, pink printed heels and a yellow oversized knitted scarf with a fringe. And, of course, don’t be afraid to mix various textures: combine a black leather jacket with a white cotton scarf, a brown or burnt orange suede mini skirt, black tights, shoes and a leather bag.